For the uninitiated, Wilson’s Arch is the modern moniker used for an incredible aqueduct-holding arch structure made of massive stones, which is supported against the imposing facade of Jerusalem’s Western Wall. 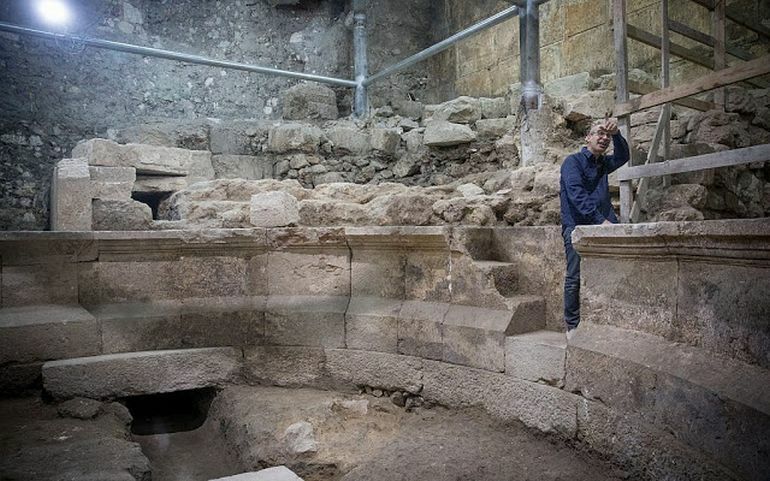 Israel Antiquities Authority (IAA) archaeologists mounted a recent excavation beneath this structure in hopes of identifying extant artifacts that could aid in the precise dating of the Wilson’s Arch. And while they did find pottery vessels and coin specimens, they also stumbled across an arguably greater discovery – eight stone courses and remnants of an ancient theater-like structure dating from the Roman period. In year 70, the temple was destroyed, and the city changed from a Jewish city into a Roman city. And part of those changes was also these entertainment, or leisure, buildings, which [one] is expected to find in every Roman city. Now judging by the aforementioned 200-seat capacity of the structure, it can be safely assumed that this theater was a far cry from the gargantuan Roman engineering feats found at other ancient sites, even in present-day Israel (like Caesarea and Bet Guvrin). To that end, the purposefully compact design of the building under the arch possibly alludes to its conception as an odeon. Such structures, with their better acoustic features, were built for singing exercises, musical shows, and even poetry competitions. 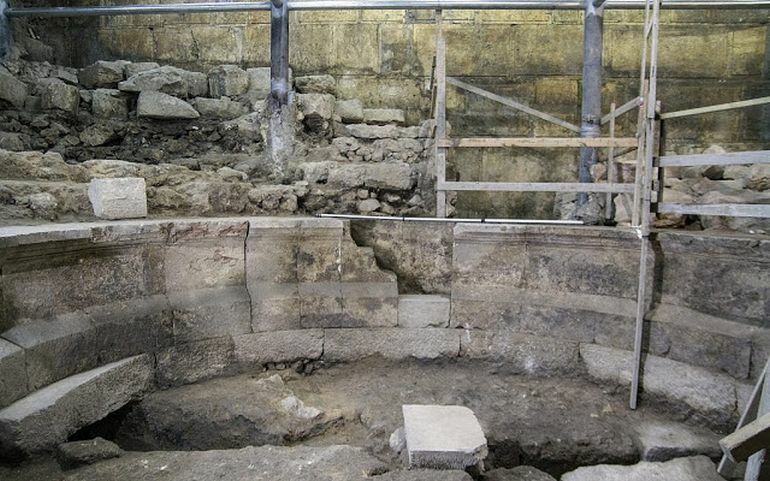 The researchers have also put forth the possibility of the structure being used as a bouleuterion – the building where the city council met, which in this case would have pertained to the political elite of Aelia Capitolina. However, the archaeologists are still perplexed by a lingering mystery surrounding this ‘hidden’ architectural feat. Their excavations have revealed that several sections of the structure were unfinished, including many of the uncut steps and incomplete carvings. Simply put, the theater/odeon was probably never officially inaugurated and used by the Romans. One of the reasons for this seemingly sudden abandonment of the project could have related to the destructive Bar Kokhba revolt (circa 132–136 AD), also known as the Third Jewish–Roman War. To that end, while the construction started before the bloody event, it was possibly relinquished once the insurrection broke out. The exposure of finds beneath Wilson’s Arch began as a joint venture between the Western Wall Heritage Foundation and the Israel Antiquities Authority, in an interest to create a new tourist path in the Western Wall Tunnels, providing the visitor with a new perspective and exposure to the grandiose finds of recent years. 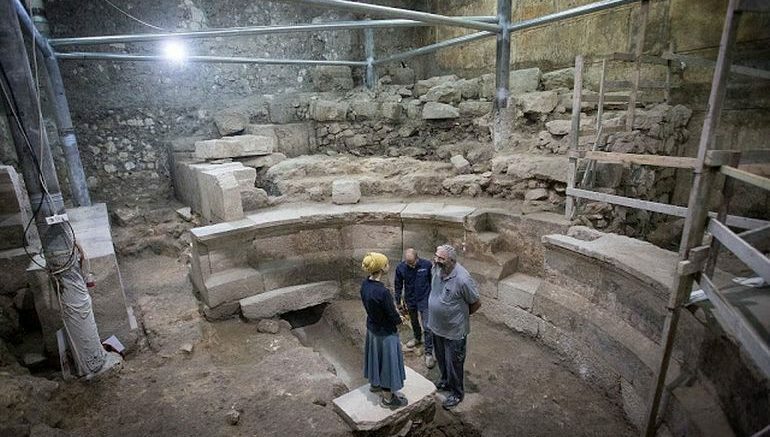 the findings include portions of a magnificent structure from the Second Temple period, ritual baths and now the truly exceptional finds beneath WIlson’s Arch. 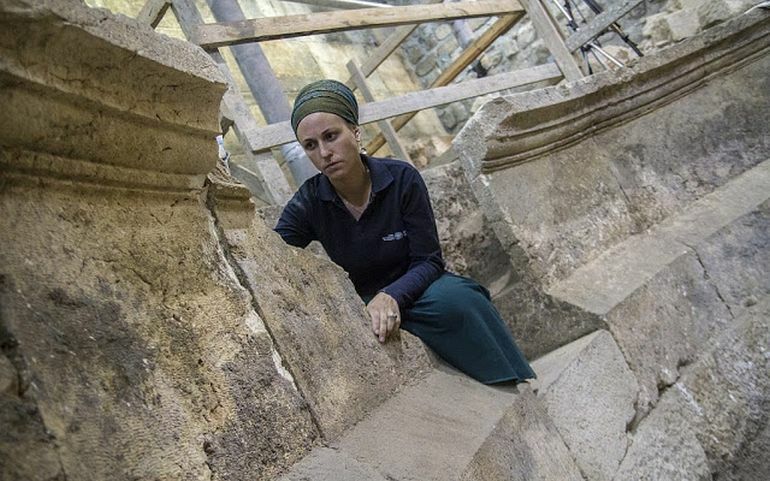 Upon completing the excavations, the Israel Antiquities Authority together with the Western Wall Heritage Foundation will begin to plan the preservation and presentation of the findings.